In August 2005, the U.S. Congress and then-President George W. Bush blessed the oil and gas industry with a game-changer: the Energy Policy Act of 2005. The Act exempted the industry from federal regulatory enforcement of the Safe Drinking Water Act, the Clean Water Act and the National Environmental Policy Act. 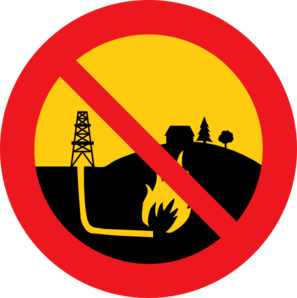 While the piece of omnibus legislation is well-known to close observers of the hydraulic fracturing (“fracking”) issue — especially the “Halliburton Loophole” — lesser known is another blessing bestowed upon shale gas and tight oil drillers: near zero-percent interest rates for debt accrued during the capital-intensive oil and gas production process. Or put more bluntly, near-free money from the U.S. Federal Reserve Bank. That trend may soon come to a close, as the Federal Reserve recently announced an end to its controversial $3 trillion bond-buying program. In response to the economic crisis and near collapse of the global economy, the Federal Reserve dropped interest rates to between 0 percent and .25 percent on December 16, 2008, a record low percentage. It also began its bond-buying program, described in a recent Washington Post article asimplemented to provide a “booster shot” to the economy. That free money, known by economics wonks as quantitative easing, helps drilling companies finance fracking an increasingly massive number of wells to keep production levels flat in shale fields nationwide. Were it not for the Federal Reserve’s policy, the ever-accelerating drilling treadmill would likely slow down, making shale oil and gas production a far less lucrative endeavor for oil and gas companies and the financiers bankrolling it. Some articles in the business press, including in the Houston Chronicle andBloomberg, speculate the Fed could lift interest rates on debt in 2015. That would sharply hinder many smaller and mid-level independent oil and gas companies. A June article published in the Houston Chronicle highlighted the heavy reliance drillers have on “junk debt” to stay on the drilling treadmill. That is, the ever-increasing number of wells drilled to keep production numbers flat on a field-by-field basis, measured monthly or annually. “[T]he gatekeeper of the nation’s money supply already has signaled it is planning to end its multibillion-dollar bond-buying program by the end of the year, and then begin to raise short-term interest rates toward historically typical levels from the near-zero rates that helped jump-start the recovery,” wrote Chronicle energy reporter Collin Eaton. That bond-buying program, Bloomberg pointed out, helps frackers to “stay on [the] treadmill.” The combination of the end of the bond-buying and raising of interest rates is no small matter for drillers. “Higher interest rates might make risky new bond issues by shale producers less attractive, and a flight of investor capital could leave the producers short on a commodity even more precious than oil: Cash,” explained Eaton. Junk debt earned the name for a reason: it means risky business for investors, but also a higher yield of the cut if the bet goes well. It also means the cash needed for frackers to do exploration and production and the drill baby, drill process. According to Bloomberg Businessweek, the horizontal drilling process for a single well can cost between $3.5 million to $9 million per well. The accelerating treadmill comes at a steep ecological cost even if the cash has come free of charge via the Fed. According to Eaton, U.S. independent oil and gas producers sold $2.3 billion worth of bonds in the first quarter of 2014 alone. And Bloomberg reported that the number of bonds issued by oil and gas companies has grown by a factor of nine since 2004. Critics within the world of finance say some investors have erred when it comes to shale, falsely assuming production levels would stay high despite the contrary facts on the ground. “There’s a lot of Kool-Aid that’s being drunk now by investors,” Tim Gramatovich, chief investment officer and founder of Peritus Asset Management LLC, told Bloomberg in an April article. If production levels do not stay high and if the price of oil continues to drop, it could mean a real financial squeeze for investors, as well as the demise of smaller, independent oil and gas companies. While U.S. oil and gas companies have benefitted from near zero percent interest rates for loans, average people have not been so lucky. A case in point: federal student loans for university students have interest rates ranging from 3.4 percent to 8.5 percent. Another example: credit cards in the U.S. generally have interest rates ranging from 7 percent to 36 percent. Indeed, an entire activist movement offshoot of Occupy Wall Street started because of the debt crisis faced by average people. That movement coined itself Strike Debt. Carl Gibson, founder of the anti-austerity group US Uncut, believes it is a trend emblematic of a greater whole.